This Lavender is from High Altitude farmland in France. It is valuable for most skin conditions since it promotes growth of new cells and exerts a balancing action on sebum with healing effect on burns and sunburn and helpful in cases of acne and eczema. Also said to heal abscesses, boils and carbuncles as well as minimize fungal growths, scarring and gangrenous wounds. It has positive effect on mind, cleanses and soothes the spirit relieving anger and exhaustion, resulting in a calmer approach to life. Has a sedative action that giving effective relief from insomnia. Cedarwood is fortifying, calming and opening. It is the first choice for men skin and hair-care products. It improves oily skin, acne and dandruff. It is also good for treating urinary-tract infections, coughs and chronic bronchitis. Psychologically, cedarwood reduces fear and helps you discover inner strength and courage. It is good for calming nervous tension and stress. Cedarwood is good in meditations and especially helps to instill confidence. It is a good general tonic for strengthening subtle energies. Cedarwood must be avoided to use during pregnancy. Eucalyptus apparently useful for skin eruption like herpes and good for burns, preventing bacterial growth and subsequent pus formation, aiding construction of new tissue, has a cooling effect upon the emotions, also clears the head, aids concentration and strengthens the nervous system. Its antiviral action works well on the respiratory tract, soothing inflammation and easing mucus, particularly well for influenza, throat infection, coughs, catarrhal conditions and sinusitis. Clear the head due to stuffiness from colds fever. Blend well with Lavender and Lemongrass. Frankincense helps to slow down breathing, producing feeling of calm. This tends to bring about an elevating and soothing effect on the mind. Its comforting and somewhat refreshing action is helpful for anxious and obsessional states linked to the past. Excellent effect on respiration: eases shortness of breath and useful to asthma sufferers. Gives new life to ageing skin and reputedly smooth out wrinkles. Its astringent properties may also help balance oily conditions. Found to be effective wounds, sores, ulcers, carbuncles and inflammation. Geranium is a tonic to the nervous system, quells anxiety and depression and lifts the spirits. Put the mind back into balance and through its action on the adrenal cortex reduces stress. With its regulatory function on the hormonal system, this oil useful with pre-menstrual tension and menopausal problems such as depression, lack of vaginal secretion and heavy periods. Said to be helpful with inflammation and congestion of the breasts. Useful for all skin types since it balances sebum. Also good for sluggish, congested and oily skins - a good overall skin cleanser. Immortelle French is suitable for wound healing and for scars, resulting from either accidents or cosmetic surgery. It is especially effective when used together with rosehip seed oil to heal wounds with minimal or no scarring. In the French aroma literature, this combination is also recommended for slow-healing wounds and keloids as well as old, unsightly scars. Small, recent wounds treated two times per day of 1% diluted Immortelle oil with rosehip for about 10 days will heal without complications. For treatment old scars, 3-6 months is recommended. The sedative yet uplifting character is excellent for anxiety, depression and nervous tension. A combined cooling and refreshing quality seems to allay anger and frustration, probably by decreasing the action of the sympathetic nervous system. Also helpful with respiratory infections, which may include breathing difficulties. Excellent for using with the hair-care products in order to reduce hair falling and healing scalp. Strong sunlight to be avoided after use as it increases photo-sensitivity of the skin. Blend well with Cypress, Eucalyptus and Lavender. Very useful for stimulating, reviving and in states of exhaustion. Lifts the spirits and gets things moving again. A revitalizing action makes it a good tonic for the body. It gives a boost to the parasympathetic nerves, which aid recovery from illness stimulating glandular secretions and the muscles in digestion. Encourages appetite and could be helpful with colitis, indigestion and gastro-enteritis. Excellent for aching muscles, relieves pain and make them suppler since it helps to eliminate lactic acid and stimulate circulation. Good for using as insect repellent. Oregano has been used as a traditional remedy for digestive upsets, respiratory problems, colds and flu as well as for inflammations of the mouth and throat. The diluted oil has been used externally in herbal medicine for headaches, rheumatism, general aches and pains, and applied to strings and bits. The oil is also used as a fragrance components with a warm, spicy-herbaceous odour. Anyway, it is a powerful emmenagogue which must be avoided during pregnancy. This oil has 71% cavacrol, recommend for professional use only. Peppermint has a dual action by cooling when hot and warming when cold. This makes it a good remedy for colds by halting mucus and fevers and encouraging perspiration, useful in respiratory disorders generally as well as dry coughs and sinus congestion. It has a relaxing and slightly anesthetic effect on stomach muscles, may be helpful for kidney and liver disorders. Its cooling nature seems to relieve states of anger and nervous trembling, excellent for mental fatigue and depression. 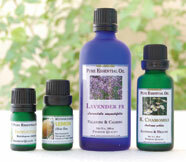 Blend well with Cypress, Lavender, Marjoram and Rosemary. Rosemary is suitable for enlivens the brain cells, clears the head and aids memory. Good for mental strain, general dullness and lethargy. It is very invigorating and strengthens the mind when there is weakness and exhaustion. Helpful for sagging skin as it is a strong astringent and may ease congestion, puffiness and swelling as well. Its stimulating action has been found to benefit scalp disorders and could alleviate dandruff and encourage hair growth. It is a pain-relieving agent, helps ease gout, rheumatic pains and tired overworked muscles. Sandalwood is very relaxing oil, soothes nervous tension and anxiety - more sedative than uplifting. Its aphrodisiac qualities can relieve sexual problems such as frigidity and impotence, perhaps dealing with the underlying anxiety. Its antispasmodic and tonic action on the body should encourage relaxation and a feeling of well-being and could be useful in promoting vaginal secretions. For using with skin, good for dry eczema as well as ageing and dehydrated skins. Gives a softening effect, relieves itching and inflammation, helpful with acne, boils and wounds. Tea Tree is the most medicinal of the essential oils, with powerful anti-microbial activity against all three of the infectious organisms: bacteria, viruses and fungi. When diffused in an oil burner, tea tree is particularly helpful in preventing the spread of air-borne infections. Together with its powerful immuno-stimulant properties, it is a real ally in combating many illnesses and ailments. Overall, it is penetrating, medicinal and stimulating. Psychologically, it invigorates mind, body and spirit; inspires confidence; Tea Tree also strengthens subtle energies. Ylang Ylang is excellent for excitable conditions regulating adrenaline flow and relaxing the nervous system, resulting in a feeling of joy, well ease feelings of anger, anxiety, shock, panic and fear. Its reputed ability to balance the hormones makes it valuable for problems associated with the reproductive system. Principally, a tonic to the womb and could well be helpful after a caesarian birth instilling a feeling of warmth and togetherness. Also said to keep the breasts firm, has a tonic and stimulating effect on the scalp promoting a more luxurious hair growth. 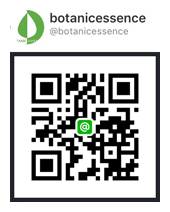 Copyright © 2019 BOTANICESSENCE.COM All Rights Reserved.